Recreational Vehicles are common among many campers. But, they have only one problem, limited space. This doesn’t mean you can’t enjoy maximum comfort. If you play your cards well, chances are you’ll get unlimited relaxation. RV recliners and wall huggers are among the best options to pick. Despite being for use outdoors, they don’t have any difference with standard recliner seats. In fact, they have the same features to bring ultimate comfort. The only difference is they are compact and helps to save space. With this, it’s possible to manage available space efficiently. Different brands have mastered the art of making recliner chairs. Thus, RV becomes useful to ensure you choose wisely. Selecting ideal one might not be easy especially for first-timers. Therefore, it becomes necessary to have a good back up information. 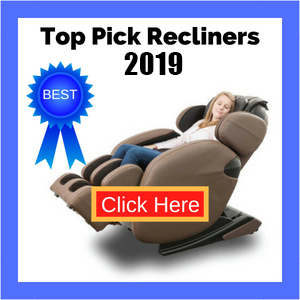 This review comprehensively looks at top 5 RV recliners and wall huggers available online. If you don’t want to get wrong model, these lists are right for you. What are the benefits of an RV recliner? What to look when purchasing RV recliners & wall huggers? For people experiencing space limitation, still, you can enjoy reclined relaxation. With this handy Living wall hugger, it offers absolute convenience. Design allows it to fit compact spaces without compromising comfort. The craftsmanship in the furniture is fantastic. It aims at improving everyone comforts anytime. With a combination of firm structure and soft cover, no more comfort guesswork. Additionally, the style is improved to complement your room décor. Its real choice many people find perfect for smooth relaxation. Well, the recliner brings excellent features at your disposal. Thus, it means relaxation is ultimate and satisfying. One of the notable models is efficient space saving. Unlike the other chairs, this one needs less space to recline. In fact, it only requires about 4 inches clearance from the wall. Thus, even when resting on an RV recliner, you can fell superb then other recliners. Adding RV Recliner in your collection relives you from space stress. Also, when you think about the cover, it’s incredibly durable. 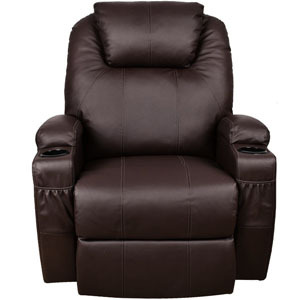 Notably, the recliner boasts super soft and durable microfiber polyester material. Thus, when relaxing, the material offers a soothing feel to your skin. Additionally, the material is stain resistant which makes cleaning a breeze. Adjustment to suit your comfort level is the one-touch task. The Handy Living wall hugger has a car door lever style. The handle is comfortable and ensures comfort when adjusting. Apart from the comfort from reclaiming, the Rv brings great padding. The cushioning enjoys high-density memory foam. Also, the polyester fiber filling and independently wrapped coils ensure balanced sinkage. Even after hours of relaxation, there are no hard spots or excessive heating. The good thing about using RV seat is an outstanding comfort. The structure is robust and supports people of different weight. With solid wood and metal frame, it supports and allows adjustments. The khaki microfiber polyester cover is sleek. It virtually complements any house decor. Due to this, the chair is ideal for different applications. Whether it’s watching movies, reading among others, the recliner is worth investing. Apart from the beauty part, the recliner is superb in offering body support. Combination of foam, fiber fills and coils hugs and support back. With padded armrest and leg rest, there is no more spine straining. Generally, its ideal for anyone with bad backs. Despite the many qualities, the chair doesn’t lack some drawbacks. Among the main one is it lack phone charging ports. Therefore, you can’t charge your devices since it has no USB or wall socket connectivity. RecPro is known for selling great furniture online. Committed to ensuring excellent comfort, they deliver outstanding furniture. 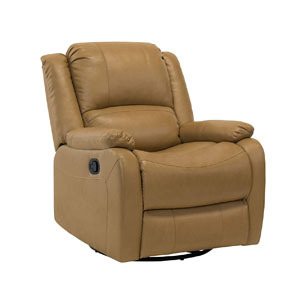 Among many items they ship, Charles collection recliner chairs are superb. Coming in a leather set of 2, they boast comfort and beauty. The seats are versatile and ideal for rest in various places. They are suitable for RV, sitting rooms, and others. But, since they need more clearance, 12 inches, they might not be ideal for traditional RV settings. This is contrary to Handy Living ProLounger that only requires 4 inches of wall clearance. You may find it running in cutting-edge RV builds an extra traditional camper too. If you are looking for features rich recliners, this set performs as per your wish. One way to know they are an excellent choice is their beauty. Featuring contemporary style, they are excellent for any décor. Whether you choose them for RV, home or any other place, they have great décor. In fact, the toffee finish brings exceptional appearance. This Recpro Charles Rv model is a style reclining chair. 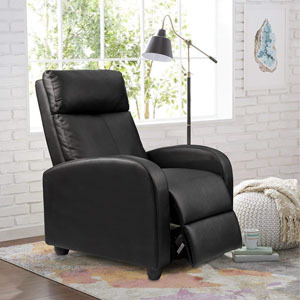 Recpro recliner has Toffee Faux Leather (Polyurethane) which is durable and easy to clean it. For the comfort, there are no trials and errors. The seats have tremendous and unmatched padding. The back has thick padding as well as armrest, footrest, and due to this, even after resting for several hours, there are no risks of muscle pains. The swivel rocker design further improves the seat comfort. If you have disturbing chairs when cleaning, this set is a perfect replacement. With covers featuring faux leather, cleaning is a walk in a park. In fact, with just damp cloth, it is easy to wipe clean. It has also a good customer rating and feedback. So, you may get it from online. Having these seats brings all the comfort and support inside your room. Not only the RV look superb but offer proper body hugging. One way they offer body comfort is the gliding action. It allows the user to a get a rocker recliner experience. For people with back problems, these are the seats to pick. Even portion is highly padded. Thus, when sitting in any position, it means exceptional support. Depending on the level of support, the seats have retractable leg rests. Despite enjoying these qualities, it suffers from one major setback. They need larger space if you want to use them in reclined style. Requiring 12 inches, they might not be ideal for old RVs. This Rv look great and you may use it in your living room. The way you sit is vital to your health. That is why having a good wall-hugger moved in the right way. Homall PU leather recliner sofa is a perfect consideration to keep the body well configured. It reclines smoothly while the cover is safe for skin. To fulfill your comfort, the sofa offers a variety of adjustments. With headrest and footrest offering easy adjustment, the body gets perfect contorting. Also, sturdy design and wide space provide ample body conformation. The heavy-duty leather seat allows even heavy people to relax safely. 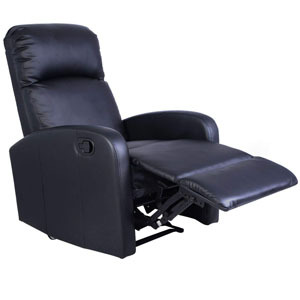 Wondering whether the Rv leather recliner will give you complete satisfaction? Well, it’s one of the wonderful choices you can make. The main feature with this seat is steel structure. Unlike the other seats with wood, this boasts steel frame. Due to this, it can support almost everyone. In fact, the sofa has a capacity rating of 265 pounds. Excellent body support and comfort is another fine feature. The construction emphasis a lot in overall satisfaction. That is why it has super thick padding. Notably, the stuffing employs heavy-duty memory foam. With body getting perfect cushioning, there is no more pain. Besides, the headrest and footrest are easily adjustable to suit your sitting position. To guard your floor, the sofa has rubber coated feet. These rubbers enable firm grip thus improving safety. Even when relaxing in a reclined position, the sofa is stable and never moves. Notably, the rubber feet are safe and won’t leave markings on the floor. Due to this feature, it’s suitable for all floor types whether tiles or carpet. Don’t be afraid about keeping this seat clean. It has easy maintenance due to the PU leather cover. The cover is easy to clean with just a damp cloth. Unlike other cheap materials, this leather is soft and safe to all skins. The cover offers comfort without skin reactions. The material of this recliner chair is very handy. This is ideal for relaxation, watching TV and other activities. Sitting on it feels plush and comfortable. The large sitting area and padded armrests offer a plush sensation. Moreover, with great back stuffing, it lets spine have contoured design. Apart from the comfort due to padding, the sofa offers raised largest. With smooth adjustment, it helps to lift your feet. The result from feet rising is adequate blood circulation, and unmatched body relieve. Although you will enjoy a lot sitting in this Rv chair, it’s intact and won’t rock. Thus, when relaxing, there is no gliding action like in RecPro reclining chairs. Weight: Not to exceed 250 lbs. When you plan to improve the way you relax, the good thing is a modern recliner. The Giantex reclining lounger is here it keeps you thrilled. Perfect for everyday application, it’s worth your pennies. In fact, the high-quality artistry and materials complement comfort and house décor. Also, it looks nice. The high-quality, eco-friendly leather is safe to skin. Moreover, the steel frame is durable and robust. Thereby, the seat supports the body perfectly and lasts for years. Notably, customization is easy since the lounger is adjustable to suit your body need. The recliner is fantastic when it comes to breathtaking features. The first one is a foldable footrest. Unlike regular chairs without footrests, this has a foldable one. With the ability to adjust to your preferred level, the Rv allows customizable comfort. As a result, it is suitable to relax in different places. Whether home theater, balcony, living room and others, the recliner perfectly fit. Forget the recliners that impose pressure on your body. Utilizing this manual recliner keeps your body perfectly supported. It has incredible stuffing on the back, armrest, and footrest to offer body support. The sponge padding reduces pressure on back, shoulders and neck regions. For smooth and quick adjustment, the chair has an adjusting switch. Unlike the lever ones, this gives you simple exercise. Located on the right side, the switch is effortless to use; thereby anybody can use it. With back section leaning backward, the footrest can be raised. Relaxing in angled design keeps body experiencing maximum comfort. Reliability of this lounger is no doubt remains one of highest. The construction boasts a super sturdy steel frame. Besides, the structure is scientifically designed to provide proper support. It made with black leather upholstery cover. Outstandingly, the seat is robust and can support up to 250 pounds. Basically, this Recliner has multiple applications. In fact, its suitable for a variety of uses at home or an RV. Its narrow structure enables it to consume less space. Consequently, many users prefer it since it helps to save space. The RV recliner chair feels great for any person. The robust engineering allows it to support massive weight. With the capacity of up to 250 pounds, there are no worries about sofa getting damaged. On the other hand, cleaning the recliner is a smooth task. It has a PU leather cover that needs only wiping with a wet cloth. Impressively, the material is eco-friendly thus environmentally safe. Despite its strong ability, this chair isn’t ideal for tall people. This means tall individuals will have to look for another RV Wall hugger recliner for fulfilling comfort. The time to get right wall hugger is now. The U-MAX reclining seat is one of the superb picks. Manufactured by experts, the chair delivers a brilliant performance. It’s one of the matchless recliners available on the market today. With electric, lifting mechanism, there is no more manual adjustment. Besides the seat boast wood frame, PU leather and other excellent features. This means high durability and dependability. Generally, the seat boasts some of the finest features on the market. However, with significant wall clearance, it is only ideal to rest with modern RVs or larger rooms. The ideal thing about this Rv recliner is it has some of the premium features. Among the unique ones is the electric lifting mechanism. Unlike other reviewed seats, this one features electronic lifting mechanism. With this, it is simple to adjust your height easily. In fact, the Rv lifts you up to put your body into an ideal relaxing position. When relaxing, the Rv offers you more than comfort. With 2 cup holders, it makes refreshment easy. This is great especially when you want to enjoy your drink slowly. Moreover, with additional 4 storage pockets, they enhance convenient storage. The pockets are ample to hold your magazines, bottles, and smartphones. Another quality that enables it to beat others is fitted wheels. They are ideal especially when moving the wall hugger from one point to another. They are sturdy and non-marking which is excellent to keep the floor free from staining. Moreover, with 10 inches Clarence, it is a good option for compact room and RVs. For comfort, there are no worries anymore. The RV reclines, lifts and offers massage function. Therefore, even when you are suffering from achy muscles, it helps to tone them down. Equipped with 4 massage zones, it focuses much on leg, thighs, and lumber. Besides, the timer allows ample massage time while 5 modes let switch to your favorite. 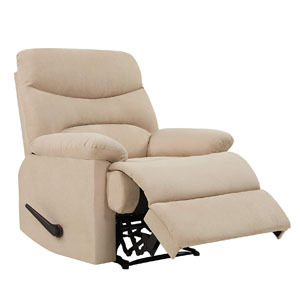 The recliner offers 130 degrees recline and footrest is easy to lift. There is no doubt this wall hugger is premium and exceptionally performing. The excellent thing relaxing on it feels cozy and fulfilling. With great lifting capability, it ensures body get a good sensation. Moreover, recline ensures you achieve virtue zero gravity experience. With massage action, and 5 different modes, body get proper comfort. For people with aching backs, necks and thigh muscles, they will find this recliner convenient. As the body get massaged, the PU leather offers perfect soft feeling and doesn’t cause skin reactions. It’s an exceptional piece of furniture for multiple applications like TV watching, reading novels among others. There is no dispute the Rv chair is high performing, but, the real issue is overall weight. Even though it has wheels, moving it is still problematic especially for aged. RV reclaiming seats offers a variety of advantages. Whether you or old using them, they ensure body have right relaxation. To understand better, below are some of wall hugger benefits. When some parts receive less blood, it results in fatigue. It is this reason that many people experience body strains after busy days. With recliners, they help to balance the upper and lower body. In fact, some recliners offer zero gravity mode. This is important and related to relaxation. Zero gravity ensures heart perfume to the maximum with less activity. The resulting is more blood flow hence fast supply to all cells. Pain in the body is as a result of various stresses. Especially, muscle stress can lead to severe back, shoulder and neck pain. Sitting in a recliner can drastically soothe and relieve your back from pain and pressure. Recliners work miraculously to tone already aching muscles. Also, they prevent body stresses hence keeping you fit. With their tilting design, one can recline to the best position. For people who sit for long especially when gaming or watching TV, recliners are superb. They bring ultimate comfort keeping body stress away. Pregnancy brings a lot of complications. One of the most common is backaches. The main reason for back pain is due to additional weight. Recliners, especially with equipped lumbar support, are ideal. They help in supporting lower back hence minimizing agony. RV recliners have no age or gender limit. This implies everyone can use them. Whether kids, adults or the elderly, they can use them comfortably. In fact, RV reclining chairs are suited to old people due to proper body support. On the other hand, the youth loves these seats especially for gaming and recreational activities. In general, recliners are universal. Maybe this is one of disturbing question many people ask. But, below are some considerations you need to check. Before you pay for an RV recliner, consider the available room. It’s a vital feature especially with RV having limited space. Being sure about the right Rv recliner gives you peace of mind. To get the exact available area, taking measurements is recommendable. Ideally, it will even wise to measures your room and also a recliner. Also, look for an Rv recliner with less wall clearance for maximum space utilization. Construction is fundamental. Not only high-quality artistry is only in recliners but to all furniture. The basic when it comes to engineering is the frame. A good seat boasts a metal frame. Unlike wood, steel is light durable and supports more weight. Apart from the frame, check on the padding. The cushioning is vital and is what provides comfort. Ensures the recliner will hug and support your body without discomforts. Most critical padding areas are backrest and armrests. The purpose of Rv chairs is comfort but, style matters too. Regardless of the supportive and comfortable recliner is, its look says a lot. When it comes to style, you need to look at the color, design and other essentials. Importantly, the best way to achieve great recliners is having in mind kind of room you want to achieve. Some RV can recline to 180 degrees or more. But this RV feels to better comfort. If possible, buying an RV recliner with zero gravity is a significant step. It means you can enjoy full reclining. Although not all seats offer complete recline, check the leaning angle it can achieve. RV recliners and wall huggers are great to offer body satisfaction. With their adjusting nature and high engineering, they provide real comfort. It’s evident that these seats have many features than others. However, with this list, it becomes easy to gauge and select the best for you. Don’t take chances with your relaxation comfort anymore; add recliner seats in your home and RVs.